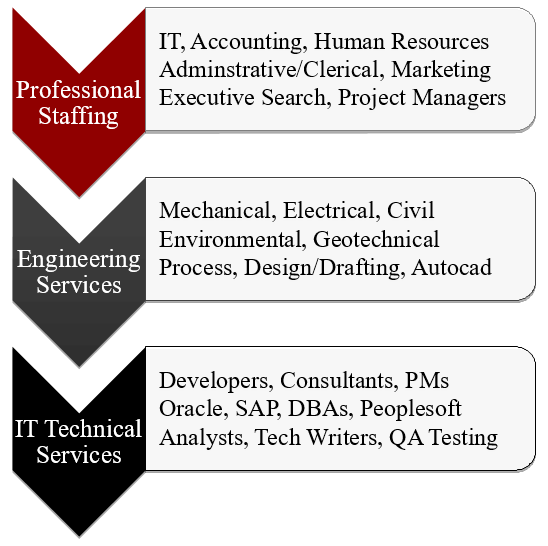 Founded in 1982, The Spearhead Group is HUB, DBE, M/WBE certified firm with extensive expertise specializing in a wide variety of Professional Staffing, Engineering Services and IT Support domains. We have the technology, partnerships and expertise to help you find and hire talented job seekers and manage any process smoothly. We are also authorized resellers for leading hardware/software manufacturers. The company has over 36 years of service in the consulting and staffing arena providing local and nationwide staffing and consulting services.